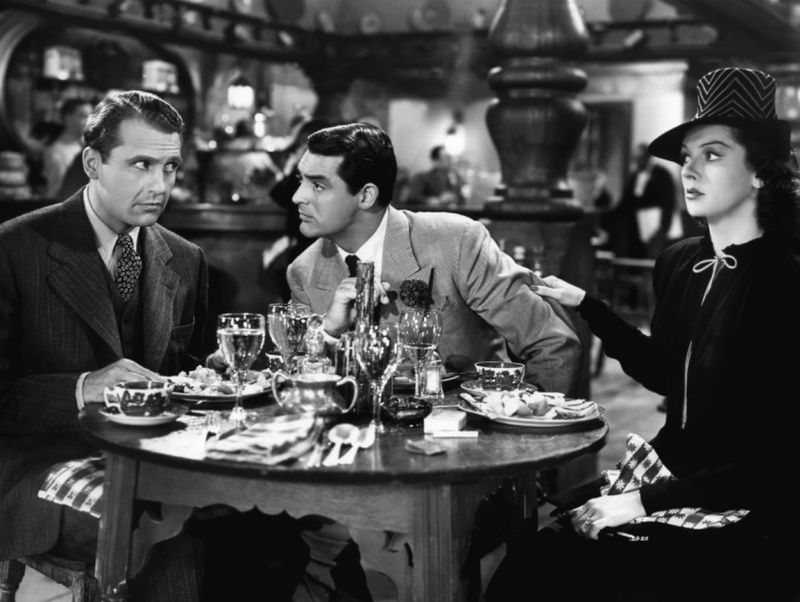 A screwball comedy with a lot to dislike, His Girl Friday tries to find laughs in a love triangle and a death row drama, and fails on both counts. Ace reporter Hildy Johnson (Rosalind Russell) arrives at the offices of The Morning Post newspaper with her new fiance and insurance salesman Bruce Baldwin (Ralph Bellamy) to tell her ex-husband and Post boss Walter Burns (Cary Grant) that she is quitting journalism to settle down with Baldwin. Burns wants to win his girl back and immediately starts scheming to disrupt Hildy's plans to join Baldwin and his mother (Alma Kruger) on a train to Albany. Burns finds ways to make Baldwin's life miserable while tantalizing Hildy with an opportunity to delve into a breaking story: a sad man named Earl Williams (John Qualen) is about to be hanged for the crime of shooting a police officer, but his execution may be politically motivated to garner votes in an upcoming election. Hildy can't resist a potential scoop and heads to the prison's press room to interview Williams and investigate local political machinations. 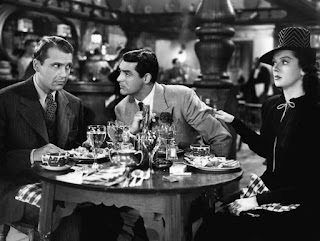 Directed by Howard Hawks as an adaptation of the 1928 stage play The Front Page, His Girl Friday mostly consists of characters shouting across rooms, talking over each other, and hollering down the phone, and often all three at once. While there is an undoubted loony energy to all the verbal sparring, it is badly dated, surprisingly unfunny, and more often than not, quite cruel. At the heart of the film's problems are the two acutely unlikeable male characters. Walter Burns is conniving, manipulative, self-centred, mean-spirited and singularly selfish. Admittedly the film is intended as a jaundiced view of newspapermen, but Burns is also supposed to be the main romantic interest. He instead leaves a cold, slithery trail at the core of the film. His competition is Bruce Baldwin, a meek wimpy man who does not stand a chance against Burns' buzzsaw tactics. Neither man comes close to deserving Hildy, and the romantic elements never spark in any direction. The rest of the plot is equally uneven. The Earl Williams story descends into numerous newspapermen, law enforcement types and corrupt politicians bellowing past each other, the comedy again not working as it squirms uneasily next to themes of ignored depression, on-screen suicide, and extrajudicial state executions treated as a joke. Rosalind Russell almost saves the film on her own with a confident, sassy display as Hildy Johnson, with enough style, smarts and instincts to keep up with fast-breaking stories and Burns' shenanigans. But the one good performance cannot overcome a stage-bound, distractingly vociferous yelling match full of distasteful characters.